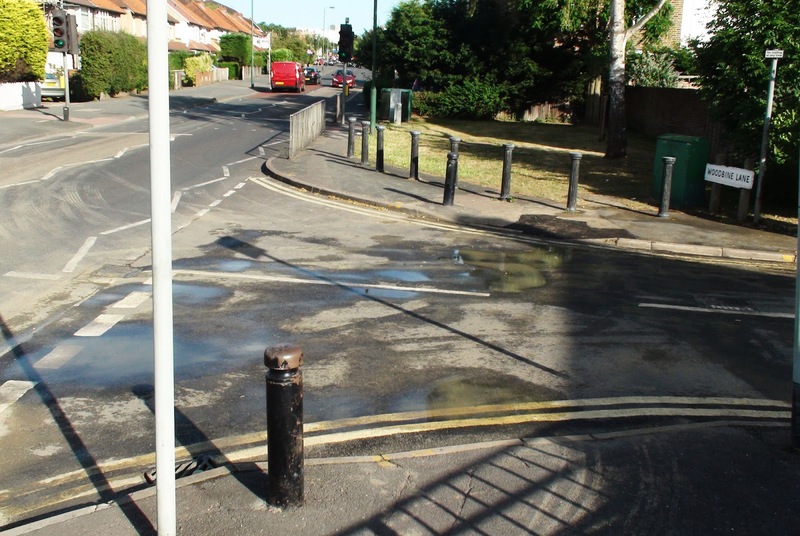 If you've had issues with your water supply today, it might have had something to do with the burst water main on the corner of Cheam Common Road and Woodbine Lane. The water was squirting out of the pavement this morning on one corner and was also pouring from under the opposite pavement too. Engineers were on the scene from around 10 o'clock this morning to fix the burst pipe which one apparently claimed was probably a result of a lightning strike last night. Homes in and around Woodbine Lane had to make do without a water supply for several hours today and the pavement closed while the work was done. The work was only finished around 6pm this evening. Thanks to Blog reader Ceri for letting me know. If anyone has any photos of the actual 'fountain' please email me if you'd like them posted here!